Posted by sense on 27th March 2019 in Lifestyle. Recently, there was a lot of noise in the news surrounding a study that had been published in the esteemed journal Nature Genetics. In this study, researchers had identified a number of genes associated with metabolism and in particular how our bodies regulate and distribute fat tissue. Variants of these genes were associated with higher waist-to-hip ratios, which is a marker of weight gain and obesity. This study is important because it is hoped that a better understanding of the genetic factors underpinning weight gain and obesity may lead to better treatment options in the future. However, there is a possible disadvantage to the heavy media coverage surrounding this study. The disadvantage is the even wider propagation of the commonly held belief that a person’s genetic make-up is the sole factor contributing to that person’s weight and overall health. This is a dangerous belief to hold, because it creates the impression that you do not need to lead a healthy lifestyle and have a varied diet. The belief causes people to think either that they are doomed by their ‘bad’ genes and therefore there is no point in trying to be healthy, or that they are invincible because of their ‘good’ genes and therefore there is no point in trying to be healthy. This misconception continues to flourish because there are many powerful companies out there who stand to benefit from it. Unsurprisingly, the misconception that ones genetic make-up is the ‘be all and end all’ is the best friend of food companies that produce and sell not only what would normally be referred to as ‘junk food’ but also those companies that produce any mainstream processed food product. These companies would love nothing more than for people to believe that their “weight fate” is sealed, so to speak, and so there’s no harm in turning a blind eye to the decreasing amount of micronutrients and increasing amount of salt and sugar in ‘junk food’ staples and processed ready meals. The reality is that lifestyle, including diet and exercise, is vital to our health and wellbeing, and even the health and wellbeing of our children and in some cases our grandchildren, because of the way that our lifestyle affects the way that our genes work. This may sound confusing at first, because we are taught in school that our genes are unchanging. We inherit our genes from our parents and we pass our genes onto our children and grandchildren. We’re all familiar with the fixed nature of DNA testing in our favourite murder mystery TV shows and films. So how is it possible for our lifestyle to change the way that our genes work? The amount of DNA it takes to store all of our genes is immense. It’s difficult to believe, but if you were to stretch out all of the DNA contained within one cell into a single long strand, that strand of DNA would be three metres long (yes in one cell!). And yet our cells are absolutely tiny. They are invisible to the naked eye and small enough that the human body is able to contain around 40 trillion cells. So our cells are tiny and yet each cell in our body contains metres of DNA. How is this possible? The reason cells so small that they are not even visible to the naked eye are able to contain such lengths of genetic material is because the vast majority of our DNA is extremely tightly and neatly wrapped up. A good analogy is to imagine a cassette tape (remember the days when those existed?). Imagine a cassette with all of the tape unspooled in a big pile. In this state, the tape of course takes up a huge amount of space. However, when the tape is properly spooled within the cassette, it is much more compact and barely takes up any space at all. This is very much how DNA exists within our cells, extremely tightly packed, making it possible for metres of the genetic material to be packed within a tiny cell. The diagram below shows many steps are needed to get DNA to be densely-packed enough to fit in our cells. It’s so many that you’ll probably have to zoom quite far in to even see what’s going on. You can click on the image for a larger version. However, a tape player cannot play the tape that is tightly spooled within the cassette. In order to play the tape, it needs to be unspooled and passed over the ‘read head’ that picks up the data. DNA works in a very similar way. The cell isn’t able to read DNA that is tightly packed and therefore the DNA needs to be ‘unspooled’ to be read. However, since the cell contains so much DNA and it would be impossible for all the DNA to be unspooled at once, only a tiny amount of genetic material is unspooled at one time. The vast majority remains tightly packed to conserve space within the cell. Various factors affect the process by which certain genes are activated or inactivated. If a gene is active, the DNA containing that gene (almost like a piece of audio tape containing a song) is unfurled in a state in which it accessible and can be read by the cell. When a gene is inactive the opposite is true, the DNA containing that gene is tightly wound up in a state in which it cannot be accessed or read by the cell. Many genes contain the instructions for making proteins and enzymes that have an effect on our weight, such as proteins and enzymes that affect our metabolism, the production of insulin, the storage of fat etc. There is much interest in how these particular genes are activated and inactivated, because if we better understand the factors that affect them, we may be able to come up with better preventions or treatments for weight gain and obesity. And increasingly what researchers are finding is that is our lifestyle does play a large role in the way that our genes work and are activated and inactivated. Now, this might be disappointing news for the pizza-addict, who now knows that he needs to pay closer attention to his diet. However, overall this is great news because it means that we all do have an element of control over our health and wellbeing. Even though our genes are certainly a factor, we have the power to influence how our genes are activated and inactivated through changes in our lifestyle. (And to clarify, this doesn’t mean that your lifestyle actually changes the data contained within your genes, it just means that it changes the way that your genes are stored – whether they’re unravelled or tightly wound up – and thus whether they are active or inactive.) The relationship between in particular nutrition and health is known as nutritional genomics, often shortened to nutrigenomics. An example of this is vitamin D, a nutrient that people are commonly deficient in. Research has showed that a metabolite of vitamin D is responsible for affecting the state of many genes related to the immune system, muscle and bones. A recent study, albeit in rats, even showed that vitamin D supplementation affected the state of several genes related to high blood pressure. An even more shocking revelation that has come to light is the ability for the state of genes – active or inactive – to be passed from one generation to the next. Imagine growing up with two healthy parents and four healthy grandparents. They all evidently have great genes, each living to ripe old ages in good health without suffering from any of the diseases that commonly afflict the elderly. Both parents and all four grandparents also lead active lifestyles, with healthy and balanced diets. Now imagine that despite having the best start in life, genetically-speaking, with healthy parents and grandparents, you decide to pursue less-than-healthy lifestyle, lacking in physical activity and with an unvaried diet, full of junk and processed food. Misled by certain food companies, you believe that because of your good genes, you can get away with this. Unfortunately, we now know that because of nutrigenomics, your diet and lifestyle can change the way that your body uses your genes, meaning that a poor lifestyle can lead to suboptimal health, despite having inherited ‘good’ genes. Now imagine that you and your partner are thinking of having a child. You may think as a prospective parent that it is unfortunate that you decided to pursue a less-than-healthy lifestyle, but that it won’t affect your child in any way, because he or she will inherit your good genes. Unfortunately, this may well not be the case. This is because it is possible for the state of your genes to be passed onto your child. When your child inherits your genes, the actual genetic code contained within them remains the same, but he or she also can inherit whether those genes are active or inactive. 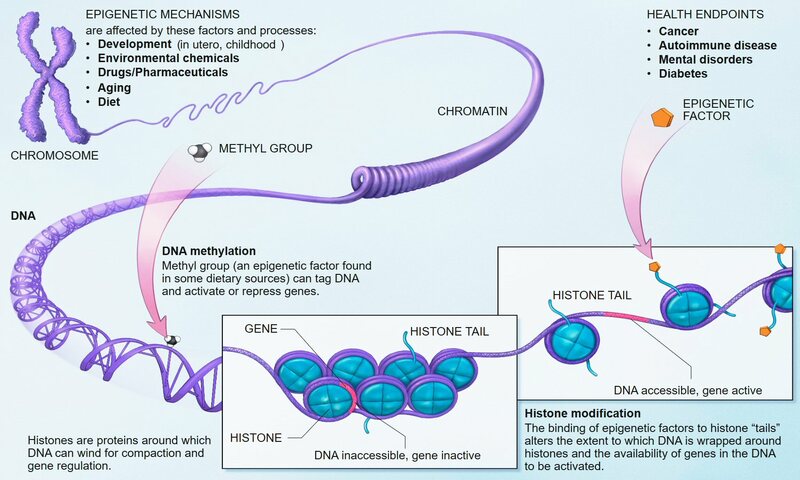 The study of these inheritable changes to the state of ones genes is known as epigenetics. The ramifications of epigenetics is profound, because it means that not only can your lifestyle positively or negatively affect the state of your genes and thus your health, but it can also positively or negatively affect the state of your children’s genes. This of course gives us even more reason to appreciate the importance of lifestyle to one’s health, because we are not only dealing with our own health when we pursue unhealthy lifestyles, but also affecting the health of any possible future children or grandchildren. Now, it isn’t all doom and gloom, since the activation and inactivation of genes isn’t permanent. If your lifestyle can inactivate certain ‘good’ genes, your child’s lifestyle still has the ability to reactivate those genes, even if they inherited the gene in the ‘disabled’ form. It just means that they’re starting at a disadvantage. The diagram below shows how densely DNA is packed within our cells. It also shows the difference between genes that are tightly packed and therefore ‘inactive’ and genes that are unravelled and therefore ‘active’. You can click on the image for a larger version. Another factor to consider is what the eyes do not see. The media has long conditioned us to believe that being slim is attractive and indicates a healthy body, full stop. However, research is now indicating that this isn’t the case. Consider individuals out there who eat very healthy, have healthy and active lifestyles and yet tend to pile on the pounds and have a very tough time losing weight. Conversely, there exist individuals who have very sedentary lifestyles with poor diets, high in sugar and saturated fats, low in micronutrients such as vitamins and minerals and yet manage to remain svelte, never putting on a pound. When we think about such individuals, it can be easy to believe the opinion held by fast-food manufacturers that our genes are the ‘be all and end all’ when it comes to our health, because if lifestyle truly were a factor, then wouldn’t these individuals’ appearances reflect their lifestyles? Well, according to the research, there is a difference between so-called visceral fat and so-called subcutaneous fat. What are these? Well, visceral fat refers to fat surrounding our organs, that isn’t necessarily visible from the outside when we look at ourselves in the mirror. Conversely, subcutaneous fat is fat tissue right under the surface of the skin, that we do see when we look at ourselves in the mirror. Research has shown that when it comes to negative health outcomes, such as cardiovascular disease, it is visceral fat that we should be worrying about. In other words, it’s the fat that we can’t see, rather than the fat that we can see, which may be the most detrimental to health. Now think back to those individuals that we mentioned earlier. Those who have healthy lifestyles but have trouble keeping off the pounds and those who have very poor lifestyles, but somehow always look as svelte and healthy as an Olympic sprinter. 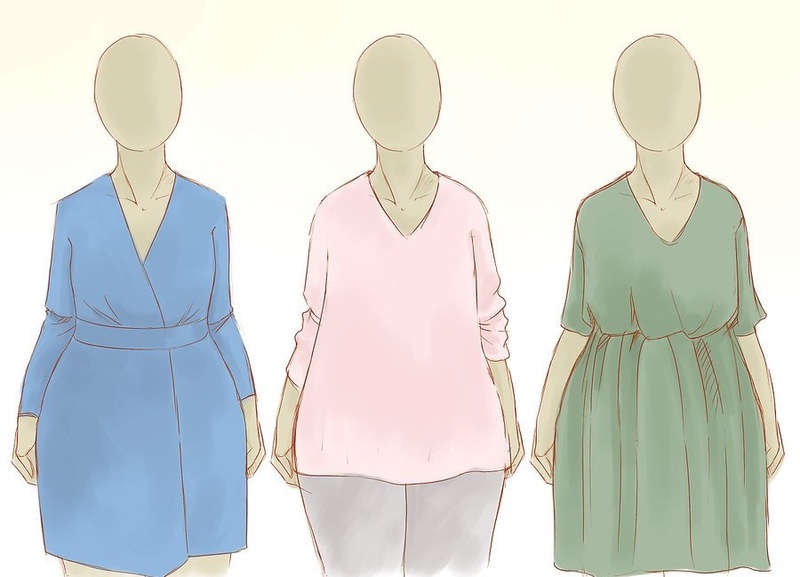 Well, despite how healthy the svelte individual may look based on mainstream beauty standards, he or she may be suffering with large amounts of visceral fat around his or her organs. There is actually a trick for trying to decipher whether a particular body is more susceptible to weight-associated disease and you may have heard of it. 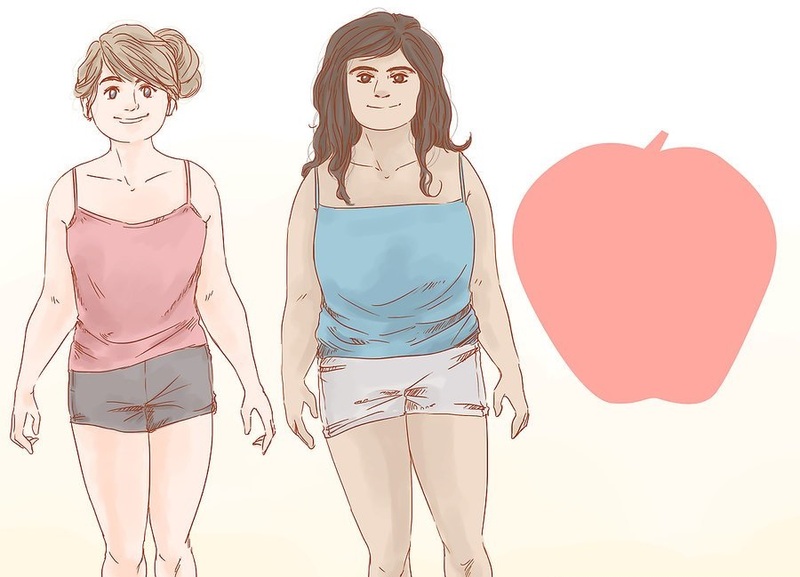 It’s called having an ‘apple’ body versus a ‘pear’ body. Having an ‘apple’ body means carrying more weight around the stomach area and having a larger waist. This is associated with an increased risk of diseases such as diabetes and heart disease. Check out the sketch below. Having a ‘pear’ body means having more weight around the hips and a smaller waist. 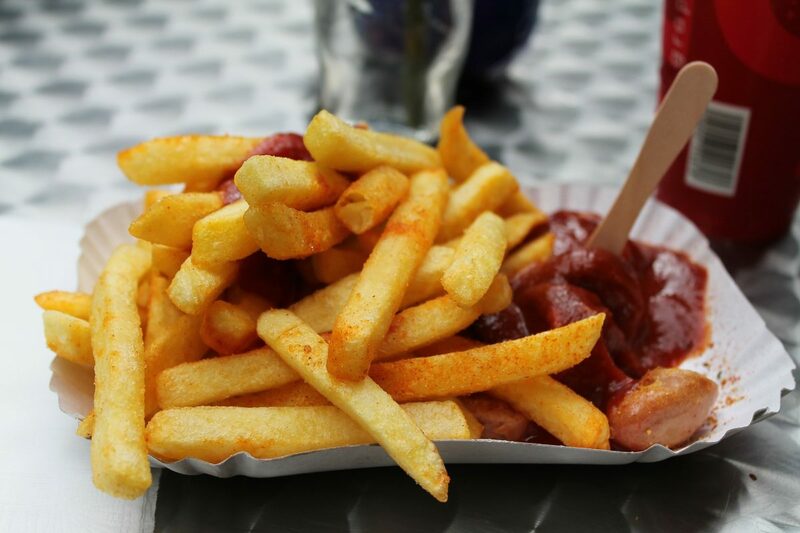 This is not associated with the increased risk for diabetes and heart disease. As the decades progress, more and more information about the way our bodies work comes to light. We have learnt things that we would never have thought possible, such as the way that our lifestyles affects the way that our genes work, known as nutrigenomics. This is despite being told for decades by some food manufacturers that our fate is sealed in our genes and there is nothing that we can do to affect them. We’ve even learnt that certain changes to the way that our genes work can be inherited from our parents and passed down to our children, meaning that our lifestyle doesn’t just affect ourselves but our descendants. All in all, it shows that lifestyle really is key when it comes to our overall health and, actually, it’s a good thing. Why? Well it means that far from being doomed by ones genes, the power is in our hands.